In 1984, Maurice Starr and his business partner Mary Alford, who previously created the R&B/Pop group ‘New Edition’, arranged several auditions around Boston. It was Starr’s ambition to present black music by white people, therefore he was searching for 5 white youngsters who should represent the Rhythm & Blues and become the new idols of their age-set. Starr found his first member of the group in 15-year-old Donnie Wahlberg, who impressed him by his skills in rapping, his dancing ability and showmanship. After this, Donnie brought his younger brother Mark and his best friend Danny Wood to the group. Donnie then called Jordan Knight, who was his one-time schoolmate in Elementary School. Jordan went to Starr’s audition and convinced him with his exceptional falsetto. When he came home, Jordan told his elder brother about it. Jonathan wanted to try out too, so their mother called Maurice Starr asking for a chance. Jonathan succeeded and in the end he was added the group as well. When things became serious, Mark Wahlberg quit and got replaced by Jamie Kelley, one of Donnie’s neighbourhood friends. The group apparently was formed and went by the name ‘NYNUK’. NYNUK’s first public appearance was in 1985 at a local talent show, which took place at the Joseph Lee School in Dorchester, Massachusetts. It was followed by a performance at the Kite Festival in Franklin Park, where the group had to dance on compiled tables, was booed, and pelted with pebbles and rocks. While the other four members spent their free time in the studio and put a lot of effort into the future of the band, Jamie Kelley increasingly neglected his commitment to the group, with the consequence being that he got dismissed later on. Starr was now searching for a talent with a voice similar to Michael Jackson for singing high solos. That was when the 12-year-old Joey McIntyre made his way to the group. He was previously singing and acting in local theatres. With Joey being the final piece, the group was put together the way we know them ever since. After a lot of rehearsals the group was lucky enough to sign a record deal with Columbia Records. Right away the company suggested them to change the name of the band. Referring to a rap-song Donnie wrote, they called themselves ‘New Kids on the Block’. The New Kids on the Block’s first gig took place in a local prison in Deer Iceland (at the Boston Harbor) in front of several hundred prisoners. More appearances in various clubs followed. In 1986 they finally got the chance to release their first and self-titled album “New Kids on the Block”. The track “Be My Girl” was picked to be their first single. It’s been on minor airplay in the Boston area, and nationwide the song and their album weren’t noticed at all. “Stop It Girl”, which was their 2nd single, failed as well. Regardless of failure they continued to perform in bars, clubs and schools. Those days their focus was on a new album. With a new sound and after a lot of work they finished “Hangin’ Tough” in 1988. It took them nearly two years to record it. They decided to release “Please Don’t Go, Girl” as the first single. The song remained unnoticed in the beginning. It even almost flopped and Columbia Records was already considering to drop New Kids On The Block from the label, when all of a sudden a radio station in Florida was picking up ‘Please don’t go, girl’ and started playing it constantly. It became the most requested song on their playlist. Once Columbia Records were told about what was going on, they revoked their plans and began to promote the song a whole lot more. They hired director Doug Nichol to shoot a music video. After the video was sent out to dozens of radio stations, they finally got to be known nationwide. “Please Don’t Go, Girl” climbed up to #10 of the Billboard Charts. 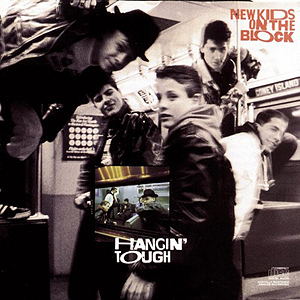 “Hangin’ Tough”, the album, was then released in September 1988. At this time the band was doing appearances in several TV-Shows like ‘Soul Train’ or ‘Showtime at the Apollo’ in New York, which were just the beginning of a great promotion. These performances helped New Kids on the Block to get booked as an opening-act for Tiffany. “You Got It (The Right Stuff)” was chosen to be the 2nd single off of “Hangin’ Tough”. That was when the group got noticed by MTV. The music channel put the video on steady rotation and gave New Kids on the Block the opportunity to appear on ‘Club MTV’. The song went Top 5 after all and yet made it to No. 1 on the British and Australian Singles chart. Their next single became their first No. 1 hit on the Billboard Hot 100 Singles chart: “I’ll Be Loving You (Forever)”, another ballad, with Jordan Knight singing the lead vocals. After carving out its way to the top gently, the song then remained 6 weeks in the Top 10. Internationally “I’ll Be Loving You (Forever)” had peaked No. 4 in Australia and No. 5 in the UK. New Kids on the Block were scheduled to open for Tiffany a second time. The tour had started as usual, but when both acts perceived the groups’ popularity and the growing fan base, they decided to reverse it, so that Tiffany would open for New Kids on the Block. “Hangin’ Tough” and “Cover Girl”, two songs that been released during the summer and fall of 1989 climbed up to the top five as well. 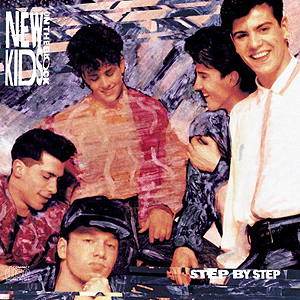 The record company went back to the group’s debut album “New Kids on the Block” and picked “Didn’t I (Blow Your Mind This Time)” to be released as the next single. With ending up on No. 8 of the Billboard Hot 100 Singles chart, the song also induced the sales of this album. Their most recent album, “Hangin’ Tough”, made its way to the very top of the Billboard 200 Albums Chart by the end of 1989 and went eight-times platinum. 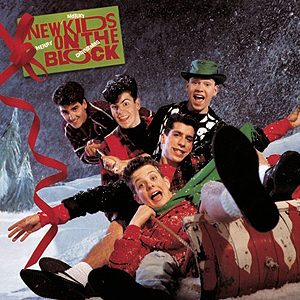 The same year the New Kids on the Block released another album called “Merry Merry Christmas”, which included the track “This one’s for the children”. The song reached double platinum and the proceeds of the sale were donated to the United Cerebral Palsy organization. With being role models for millions of young people the group was also and in particular put for anti-drug campaigns. Meanwhile, due to this commitment the then governor of Massachusetts, Michael Dukakis, gave the band the highest award of the City of Boston, and declared April 24, 1989 ‘New Kids on the Block Day’. The next year couldn’t have kicked off any better. In January 1990, New Kids on the Block were awarded with the ‘American Music Award’ for “Best Pop Group” and “Best Pop Album”. New Kids on the Block became one of the most popular acts in the United States and at this time the band was taking the world step by step. They had to triple their security team for the Stadium Tour, which led them through the United States and Europe in the spring of 1990. In May 1990, after they had finished their Spring Tour, the band put out their third studio album, called “Step By Step”. It went straight to No. 1 on the album charts of countries like the United States, United Kingdom and Germany. By selling over 6.5 million copies worldwide the title track of the album became the group’s biggest-selling single. It’s also been one of the greatest pop songs of the 90’s. “Step By Step” was written by Maurice Starr and initially recorded by one of his other bands, The Superiors, in the late 80’s. The lead vocals of New Kids on the Block’s “Step By Step” were sung by Jordan Knight. The other members were involved as well by singing one “Step” each: Danny Wood sang Step 1 – “We can have lots of fun.”, Donnie Wahlberg sang Step 2 – “There’s so much we can do.”, Jordan Knight sang Step 3 – “It’s just you and me.”, Joey McIntyre sang Step 4 – “I can give you more.”, and Jonathan Knight sang Step 5 – “Don’t you know that the time has arrived?”. “Step By Step” climbed up to No. 1 of the U.S. Billboard Hot 100, remained there for three weeks and reached platinum status; internationally it had peaked #1 in Canada, #2 in the United Kingdom and made it to the Top 10 of the Singles Charts in Australia (8), France (10), Germany (8), Ireland (5) and Norway (6). The second single, “Tonight”, was dedicated to their fans and discusses the relationship that binds them to the members of the group, since the beginning. The songs’ highest peak position was at No. 3 in the Charts of the european countries Netherlands, France and United Kingdom. At home “Tonight” had reached #7 on the Billboard Hot 100 earlier. “Let’s Try It Again” hit No. 8 on the UK Singles Chart, whilst “Baby I Believe In You” went No. 1 on the Japanese Chart, further signifying the international appeal of the group. Meanwhile, the album “Step By Step” was certified triple platinum, selling close to twenty million copies worldwide. In summer of 1990, the group went on another tour – the “Magic Summer Tour” – which led them through 63 stadiums. About two million fans went there to see the shows. New Kids on the Block were at their highest peak at this time. The band won several audience awards, including the golden ‘Bravo Otto’ (Germany) in 1990 and 1991, and eleven awards of the former British teen magazine ‘Smash Hits’. Also the variety of merchandise articles was increasing; there were dolls, pillowcases, marbles, lunchboxes, sleeping bag carry cases, and even a Saturday morning cartoon, which aired first time in September 1990 on ABC Network. With over 200,000 members the New Kids on the Block fan club was one of the largest fan clubs in the United States. The fan club received about 30,000 letters daily and their official hotline about 100,000 calls per week. The hysteria of the fans, however, also led to a strong rejection. As idols who were mainly adored by young girls, the quintet was drawn repeatedly ridiculed by music magazines across the youth press. In everyday situations, the members were also faced with aggressive behavior and death threats. 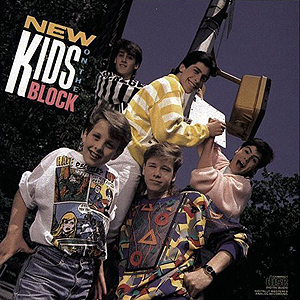 A T-shirt with the words “New Kids under the block” showed a rock, under which several bleeding legs were mapped. The Knight brothers were threatened with a loaded gun in the street and Danny’s house was fired at. As of 1991, New Kids on the Block released no new material, but continued to tour throughout Europe, Japan and Australia from March on. Regularly over 1,000 medical emergencies were reported per concert. There were bruises, contusions, fainting, broken ribs and even occasional circulatory arrests. As in previous years, the groups’ arrivals, presence and departures were accompanied by tumultuous scenes in malls, hotels and airports. The safety of the group, and also the safety of the fans, became more and more a serious problem. That was the first time when those responsible were thinking about whether live performances are still viable under these conditions. The band played an average of two hundred concerts a year. In the beginning of 1992, New Kids on the Block decided to release a new single: “If You Go Away”. It was included on their greatest hits album “H.I.T.S.” and was later added to their 1994 album “Face the Music”. The song made it to #16 on the US charts and climbed up to #9 in the United Kingdom. Shortly afterwards the group experienced a new level of resentment. The former employee Greg McPherson, who was involved in the groups’ most recent album “Step By Step”, accused New Kids on the Block of lip-syncing. He had claimed that Maurice Starr was singing the vocals and that the group did lip-syncing during all their live performances. New Kids on the Block interrupted their tour in Australia and flew 14 hours from Sydney to Los Angeles in order to perform live on “The Arsenio Hall Show”. After the performance the band was interviewed by Hall, where they’ve admitted to be singing with a backing track during their live shows and that Starr sang harmony on some background vocals. The band then went back to Sydney to continue the local tour. A few days later, Melbourne awarded the New Kids on the Block, as the first band besides the Beatles, with the ‘Golden Key of Melbourne’, which is the highest honor of the city. The next month the group filed a defamation lawsuit against Greg McPherson regarding his lip-syncing allegations. In April 1992, McPherson dropped his suit against Starr and released a statement recanting his previous allegations stating, “They (The New Kids) did sing lead on their vocals”. On February 17, 1992 New Kids on the Block caused a stampede during a concert in front of 16,000 people at the Olympic Park in Seoul, South Korea. Hundreds of fans tried to get on stage and were trampled to the ground. The band was watching the incident from the stage, cancelled the show after the third song, and was escorted back to the hotel. About fifty injured people had to be taken to hospitals. At the hotel, the group was told that they are not allowed to leave the country until the concert has been finished as per agreement. South Korean armed forces took control over all passages and rows of the Olympic Park and the concert continued under military protection. The next day, the members got to know that a 17-year old fan passed away due to serious injuries. Shocked by all the incidents the group cancelled their live activities in April 1992 and retired into private life. Almost two years later, the band went back to the studio to record another album; “Face The Music”. The album was co-written and co-produced by the band members themselves, and released on January 25th in 1994. 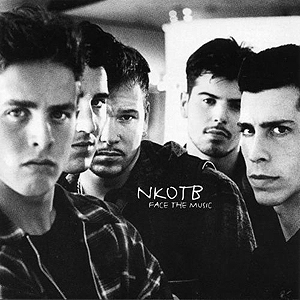 Meanwhile the New Kids on the Block cut all their ties with Maurice Starr and had their name shortened to NKOTB at a request of their record label, Columbia Records. With a more mature sound on the album, NKOTB hoped to reach a wider audience and to reconnect with their fanbase. But unexpectedly and in spite of positive critical reception, “Face The Music” only debuted at number 37 in the Billboard 200. The single, “Dirty Dawg”, failed by only reaching #66 in the Billboard Hot 100. A canadian music station even banned the music video because of its suggested violence and misogynistic themes. “Never Let You Go”, which was their second single of “Face The Music”, was sung by Jordan Knight and features Donnie Wahlberg rapping. The song failed to chart in the United States, but made it to number 18 in Canada and #42 in the UK. Track 6 of their album, “Keep On Smilin’”, was included on the ‘Free Willy’ soundtrack in 1993, and also “If You Go Away” was previously released in 1992. NKOTB went on a tour to support the album. Unlike when they were selling out arenas in the glory days of their success, they only got to play smaller venues on this tour, such as clubs and theaters. 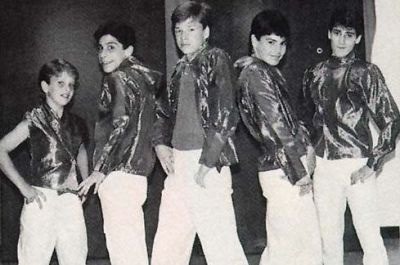 While the tour was going on, Jonathan Knight, who was increasingly suffering from anxiety and panic attacks at this time, decided to leave the group. The band then cancelled the rest of the tour and shortly after that, NKOTB split up for good. In early 2008 the online issue of People Magazine reported that the New Kids on the Block were obviously planning to do a reunion. 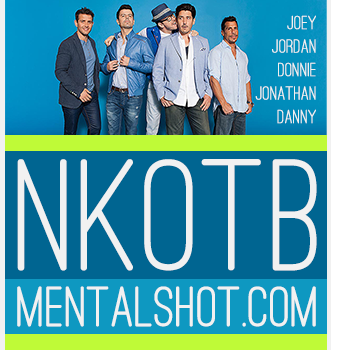 They based their assumptions on the fact that the group’s website, NKOTB.com, which had been dormant, was back up and running. The website reached about 1 million hits in one week. On April 2nd the group confirmed on their website that they had reunited, were recording a new album and that a tour was in planning stages. 2 days later, on April 4th, the reunion had been revealed to the public on NBC’s ‘TODAY SHOW’ in New York City. Fans were waiting outside at Rockefeller Plaza, in the rain, to welcome back their favorite boyband that had been absent for 14 years. The next month, the New Kids on the Block released their first single, “Summertime”. The song, which features lead vocals by Donnie Wahlberg, Jordan Knight and Joey McIntyre, was performed first-time on the ‘TODAY SHOW’ on May 16th, 2008. This was the New Kids’ first performance together since they broke up in 1994. Besides introducing new material, they also performed a medley of old songs. That day, about 4,000 fans came to see the New Kids on the Block, and yet again they were forced to deal with the same conditions as the month before when the band had announced its reunion on the show: rain, rain and more rain. The single “Summertime” climbed up to number 35 on the Billboard Hot 100 and number 24 on the Pop 100. The song even made it to #9 on the Canadian Hot 100. Internationally the song peaked at #34 in the UK and #55 in Germany. 2 months later, the New Kids on the Block were invited to be part of a german film called ‘1 ½ Ritter’ (engl. : 1 ½ Knights), produced by Til Schweiger. The group’s scenes were filmed at the Trausnitz Castle in Landshut (Bavaria), in July of 2008. In the movie the New Kids are performing their song “Dirty Dancing”, which was later relased as the band’s third overall single. In August 2008, “Single”, featuring R&B singer Ne-Yo, was picked to be released as their second single. On both, the Canadian Hot 100 (#72 – #42) and the American Pop 100 (#86 – #56), the song rose from its entry position. In Far East, “Single” reached #3 on the South Korean International Singles Chart. Short time after that, on September 2nd, the New Kids on the Block released their reunion album, “The Block”. It’s the group’s fifth studio album, and features additional collaborations with several artists such as Akon, Teddy Riley, New Edition, The Pussycat Dolls and Lady Gaga. The Deluxe Edition of the album includes 4 bonus tracks in US, 2 bonus tracks in the UK and one bonus track in Brazil. The album went straight to #1 on the Billboard Top Pop Albums Chart, made it to #2 on the Billboard 200 by selling 95,000 copies in its first week of release and debuted at number 1 on the Canadian Albums Chart. „The Block“ has been certified Gold in Canada. Overseas, in Europe, the album climbed up to No. 21 in Germany and No. 16 in the UK. In fall of 2008, the New Kids on the Block’s Reunion Tour kicked off in Toronto and included another 61 dates in the US, Canada, Mexico, and in Europe the next year. The opening shows were sold out within minutes. Support acts for the US part of the tour were Natasha Bedingfield and Lady Gaga. One month after the group came back from Europe, they had enlarged their schedule by adding another 26 dates in the United States and 6 more in Canada. The New Kids on the Block released another track, “2 In The Morning”, in late February. This single was available in the United States and the United Kingdom as digital download only. They performed that song for the first time on ‘Sessions@AOL’ and then later, debuted the song on ‘The Today Show’ with Hoda Kotb and Kathie Lee Gifford, and on ‘Live with Regis and Kelly’. As the Reunion Tour was completely wrapped up, the group hosted another special event for their fans, a concert cruise, which began on May 15th, 2009 in Miami, Florida. The cruise went on for 4 days, and it took the New Kids on the Block and their fans on a vacation to the Bahamas. On the last day of this cruise, group member Jordan Knight immediately announced another one for 2010 via the social media site Twitter. Not getting any rest, the band set up another North American tour, called “Full Service”. With a new stage set, the New Kids once again travelled the United States, visiting 34 cities and doing another 2 dates in Montreal and Toronto, Canada. This time around, they had chosen Jesse McCartney and the Jabbawockeez to be their support acts. The last show of their “Full Service Tour” was held at the Cynthia Woods Mitchell Pavilion in The Woodlands, Texas. After that, the group took a 5 months’ break on doing other endeavors before they wrapped up the year with a Christmas-themed concert at the House Of Blues in Boston, Massachusetts on December 22nd. After another 5 months, the New Kids on the Block went on tour again. The “Casi-NO Tour” kicked off in Las Vegas (Nevada), where they did shows on each, May 7th and May 8th of 2010. 5 days later, on May 13th, the New Kids played at ‘The Fillmore’ in Miami Beach, which was kind of a pre-cruise concert because the cruise ship was scheduled to leave the Port of Miami the very next day. After finishing the 2010 cruise on May 17th, the band continued their tour, doing multiple nights in another 6 cities. In mid-August of 2010, the tickets for the third annual New Kids on the Block Cruise went on sale. It was sold out right away, with thousands of fans on a ‘waitlist’ standing by for any openings on the boat due to cancellations. The cruise was scheduled for May 12th, 2011 with the destinations of Nassau and Half Moon Cay. While the New Kids on the Block were doing their “Casi-NO Tour”, Donnie came up with the idea to invite another artist to their show at the Radio City Music Hall in New York for a special appearance. This plan remained secret until it actually happened on June 19th, which was the last night of the tour. At one point of their show the band began to sing “I Want It That Way” by the Backstreet Boys. Shortly after they had finished the first verse of the song, the curtain behind them got drawn open and the Backstreet Boys themselves came into sight. The crowd went wild over this surprise. The Backstreet Boys continued singing “I Want It That Way” and were joined by the New Kids to finish the song together. Thanks to an amazing feedback both groups decided to team up as NKOTBSB for some more performances. Then by the end of 2010 they officially announced their “One Night, One Stage, Once In A Lifetime” Tour on ‘On Air with Ryan Seacrest’. To give a sneak peek to the public they performed at the ’38th Annual American Music Awards’ and were part of the New Year’s Eve celebrations in New York City. On January 26th, the members of NKOTBSB were headed to ‘Fenway Park’, a special place especially for the New Kids on the Block. ‘Fenway Park’ is a baseball park in Boston, Massachusetts. The topic of this day was to announce a concert date at this very location, the home ballpark of the Boston Red Sox baseball team. The concert was part of their previously announced “One Night, One Stage, Once In A Lifetime” Tour and scheduled for June 11, 2011. Prior the tour NKOTBSB released their self-titled album (May 24, 2011), which consists of 5 hits of each group, 2 in collaboration recorded songs and a mash-up. The 5 hits of each group were chosen by their fans in an online voting. The track listing was announced on April 11, 2011 after a number of nearly 250,000 votes. “Don’t turn out the lights” was picked to be released as the lead single from the album. The tour went down in 2011 and led them through the United States and Canada, visiting 48 cities in total. Because of the fact that the tour was successful in their home country and a huge demand overseas, they decided to do a European tour in spring of 2012. NKOTBSB visited the UK, Ireland, the Netherlands, Belgium, Switzerland, Germany, Denmark, Norway and Sweden. They had also planned to do a tour stop in France but due to technical limitations, this date never happened. After finishing the European leg of the tour, they hopped over to Australia and Asia. This was the New Kids on the Block’s first tour in Down Under in over twenty years. Their show in Melbourne on May 19th, 2012 was sold out within hours, so NKOTBSB decided to add a second show on the day before. The Asian part of the tour comprised two dates in Jakarta (Indonesia) and Manila (Philippines). In early June, the band’s 4th annual cruise took the New Kids on the Block and their fans on another fun vacation. The Carnival cruise ship ‘Destiny’ travelled to the destinations of Half Moon Cay (Bahamas) and Key West (Florida). Four days after returning to the Port of Miami, the group went to South America and Mexico to do a small tour. They did 6 shows in 5 countries, starting in Argentina, then heading over to Brazil, Chile and Peru, and wrapping it up with 2 dates in Mexico. After 3 months of touring the world, the New Kids on the Block took a well-deserved summer break, temporarily interrupted by their appearances at the ‘Summer MixTape Festival 2012′ in Mid-August. The festival included two nights of performances by different artists and an additional event on Sunday called “Rock ‘n Jock”, which was a softball game between the New Kids on the Block and the Backstreet Boys. On the first night of the festival the New Kids on the Block did a show on their own, and the NKOTBSB concert on the second night has been the group’s last performance together with the Backstreet Boys for now. By the end of October 2012, immediately after Jordan Knight had finished the canadian part of his “Live & Unfinished” solo tour, the band members went to Los Angeles (California). A new album was in the making, for which they worked with DEEKAY Music, a danish music company founded by the producers Lars Halvor Jensen and Martin Michael Larsson. The team also includes Tim ‘Data’ McEwan, Daniel ‘Obi’ Klein and Johannes ‘Josh’ Jørgensen. Before christmas the New Kids on the Block started teasing their fans by posting a picture of a red-colored package, first saying that “Some packages are best opened after the holidays.” By January 14th they revealed that “Some packages are best opened on January 22nd,” which was the date of their appearance on ABC’s ‘The View’. On the show the group announced their new album called “10”, the first single of the album, “Remix (I Like The)”, and their upcoming “The Package Tour”, which included the special guests Boyz II Men and 98 Degrees. The New Kids on the Block, Boyz II Men and 98 Degrees stopped by outlets like Access Hollywood, CNN, E!, ET, EXTRA, OMG! Insider, VH1 Big Morning Buzz, US Weekly and Rolling Stone to promote the upcoming tour. The “The Package Tour” was supposed to visit 28 cities when the fanclub presale started on January 24th. American Express card members were able to purchase tickets on January 25th and the general on-sale began on February 2nd. Due to a high demand, second shows, even a third show in Uncasville and a few new cities were added to the list. In the end the “The Package Tour” included 47 dates in the USA and Canada. It kicked off on May 28th in Uncasville (Connecticut) and made its last stop in Indianapolis (Indiana), on August 4th, 2013. “Remix (I Like The)”, the first single from their new album “10”, premiered on ‘On Air with Ryan Seacrest’ a few days after the announcement was made. The song was available for download on iTunes another 3 days later, on January 28th. The band produced two videos to the song, a lyric video and a regular music video. The lyric video was dedicated to and inspired by their fans, showing old and new pictures of a few of them. The photos had been picked by the band. Directed by Rami Hachache, the regular music video shows a lonely wallflower, personated by actress Artemis Pebdani, turning into a heartbreaker at a house party. The video premiered exclusively on LiveNation.com in early March. On Saturday, March 30th, the New Kids on the Block performed the songs of their new album “10” for the first time at a special Record Release Event for their fans at the Orpheum Theatre in Boston (Massachusetts). Weeks prior the event, fans from about 30 countries got together trying to make this day a special one for the band as well. They donated thousands of Dollars with the aim to congratulate the band on the release of their new album by placing an ad in the March 30th issue of the Billboard Magazine. The plan worked out and the fans presented the band members with five plaques of the ad at the event. Meanwhile on Twitter, the fans had changed their avatars. The timeline was filled with tweets by people whose profile picture displayed a heart saying “THANK YOU”. The fans at the Orpheum Theartre had them printed out and held them up during the event. The New Kids on the Block were emotionally touched by this surprise. The new album was then released on April 2nd, 2013. The main version of “10” includes 12 songs and one hidden track, but there are special editions available. The downloadable version on iTunes includes another song called “Block Party”, while the at TARGET purchaseable physical copy comes with another 2 additional songs, “She’s A Killer” and “With Me”. One more treat for the New Kids on the Block fans was the “10 Deluxe Box”. This box set was limited and included a copy of the album itself, the “Live From Fenway Park” DVD, a 48-page Photo Book, 5 coasters and an exclusive piece of the NKOTBSB banner that hung over the Green Monster at Fenway Park. Around the album release date, the band appeared in several TV-shows such as the ‘TODAY SHOW’, ‘The View’ and Bravo’s ‘Watch What Happens Live’. They also had set up an instore signing at J&R Music World in New York City on April 2nd. As a part of the ‘iHeartRadio’ show series, the New Kids on the Block performed at the PC Richards Theatre two days later. Tickets to this event were given out in a contest. The same way the New Kids fans were able to get access to another exclusive event, ‘Live in the Vineyard’, where the group did an accoustic set of their songs. It was held at the Sutter Home Winery in Napa (California) on April 7th, 2013. Meanwhile the album “10” had secured a Top 10 spot. It debuted at #6 on Billboard’s Top 200 by selling 50,000 copies in one week. Internationally, “10” also debuted in the Top Ten of top markets such as Australia, Germany, Denmark, Finland, Greece, New Zealand, Canada, Mexico and Spain. A couple of days later the group travelled to Canada to promote their new album and the upcoming tour. They took over the Toronto based radio station CHUM FM for an hour to answer fan questions and songs of their new album had been played during the show. The same day they also did an autograph signing and a Q&A session at the Pickering Town Centre. On a bigger ship, the ‘Carnival Victory’, the New Kids on the Block and their fans were navigated to Half Moon Cay and Nassau (Bahamas) on the band’s 5th annual concert cruise. After embarking at the Port of Miami on May 18th, this special vacation went on for five days. On April 15th, Joey McIntyre was one of the runners at the Boston Marathon. Five minutes after he had crossed the finish line, 2 explosive devices went off in the audience, killing 3 people. Hundreds were injured. Boston was shut down for days to get hold of the suspects, which were captured later in Watertown (Massachusetts). Two police officers were injured during the hunt, one of them died. Also one of the suspects succumbed to his injuries. In memory of the victims a line-up of bands, such as the New Kids on the Block, Boyz II Men, Aerosmith, the J. Geils Band and more, played a benefit concert called ‘Boston Strong’ on May 30th, 2013 at the TD Garden in Boston (Massachusetts). All funds were going to help those most affected by the tragic events. One day after the “Boston Strong” event, the New Kids on the Block, Boyz II Men and 98 Degrees were headed down to New York City to perform as a part of the ‘TODAY SHOW Summer Concert’ series. „The Package Tour“ had already kicked off and was then on-going for the next 3 months. Inbetween the regular concert dates, the New Kids on the Block were invited to play at the ‘Summerfest’ in Milwaukee (Michigan) and had also performed again at the ‘Summer MixTape Festival 2013′ in Hershey, Pennsylvania. Highlights of the tour can be relived by watching the band’s “The Whisper” tour video, which was released in early August. After a three months break, the New Kids on the Block announced their 6th annual cruise, which sets sail on June 5th, 2014. The cruise ship, the Carnival Splendor this time, will embark from the Port of New York City and takes the band & their fans to the new destination of Bermuda. The Block Nation members and prior cruisers were able to book their cabins on October 9th. The general on-sale was set for October 10th at 10:00 am ET. The cruise was sold-out within an hour. To be continued! Check back later.